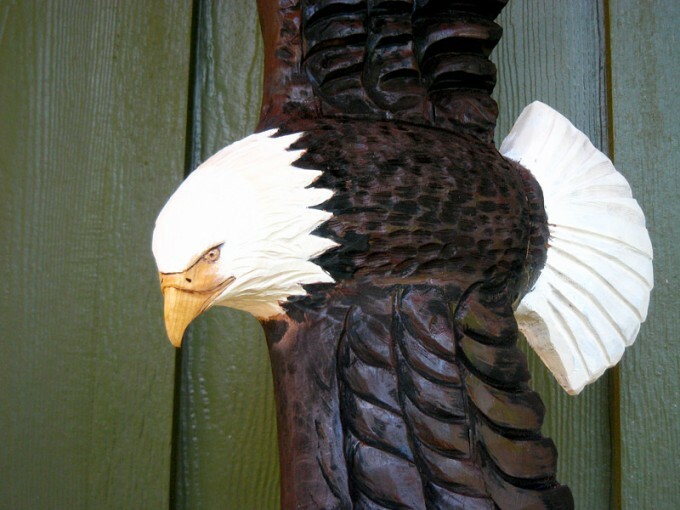 This flying Bald Eagle is 50" tall by 13.5" wide. 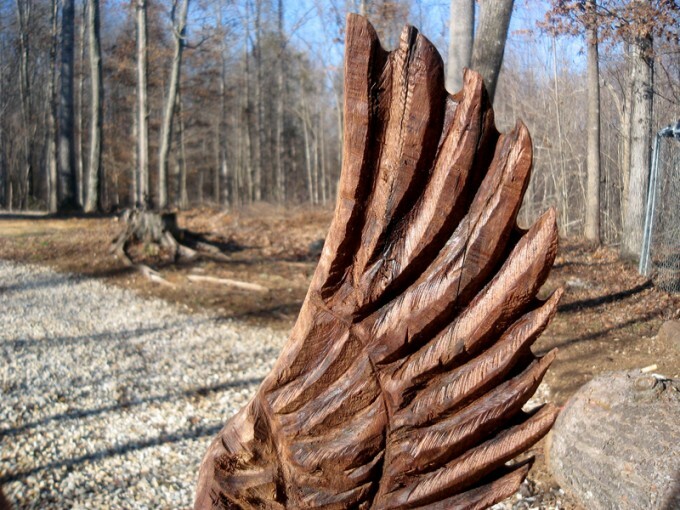 Mark carved it from a cedar cut off our property. 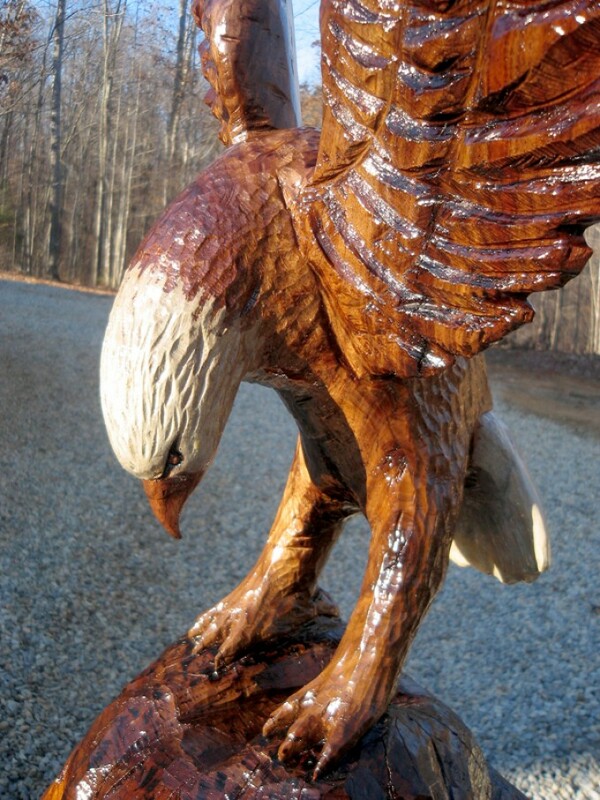 He painted the eagle and left the base natural to showcase the beautiful cedar wood. The whole piece is sealed with a clear satin spar urethane. This bold Bald Eagle is available for sale.